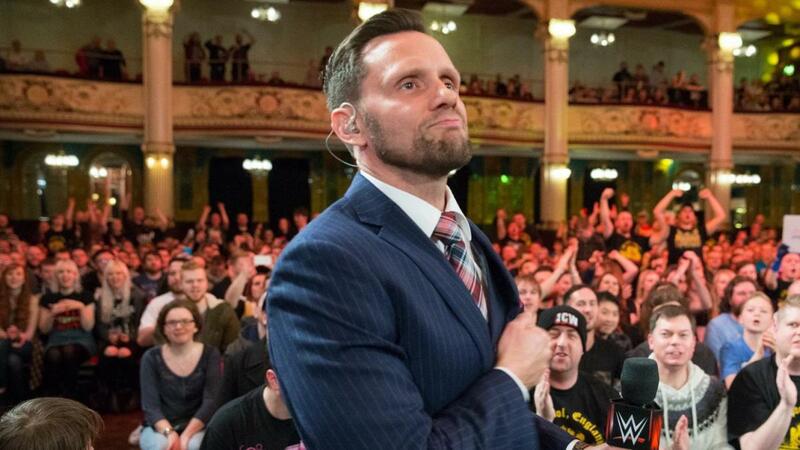 A documentary on Nigel McGuinness will be premiering on the WWE Network after NXT UK TakeOver: Blackpool. The WWE Network schedule notes that an original special called "The Nigel McGuinness Story" will air on the Network at 4:30 p.m. Eastern time on Saturday, January 12, which is the post-NXT UK TakeOver time slot. The documentary is listed as airing from 4:30-5:30 p.m. Eastern. Here's WWE's brief description of the documentary: "The story of Nigel McGuinness, a man with lifelong aspirations of becoming a WWE Superstar, whose career was unceremoniously cut short." McGuinness and Vic Joseph are the commentary team for NXT UK, and McGuinness also does color commentary for NXT, 205 Live, and Main Event. TakeOver Blackpool is the first TakeOver special for the NXT UK brand. It's taking place at the Empress Ballroom in Blackpool, England on January 12 and will air live on the WWE Network starting at 2 p.m. Eastern, with a 30-minute pre-show airing before that.